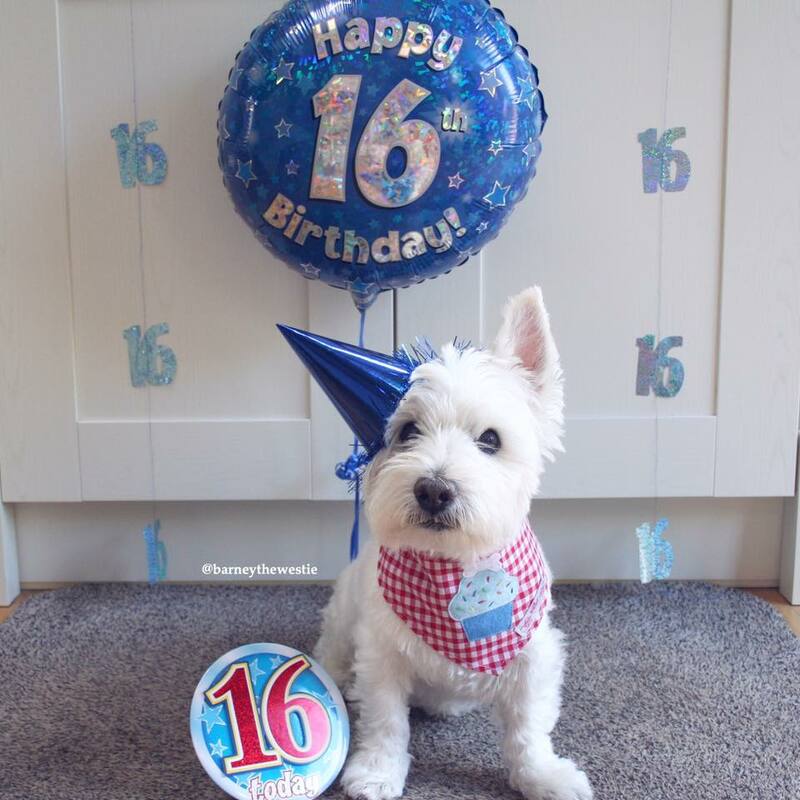 Beautiful rescue westie Barney celebrated his birthday last week, and with a little help from his ‘mum’ Lauren Kerrison raised a whopping £730 in honour of the event. Just 16 years young, he is bright as a button and Lauren wanted to give other rescue westies the same chance that he has had at a new life. Her target figure was £250, but Barney has won everyone’s hearts and very soon sailed past the original figure and has now raised almost three times that amount. Lauren and her mum Ann rescued Barney thirteen years ago when he was just three years old and they have had a very close bond ever since. Lauren hit on the idea of setting up a GoFundMe page so that friends could donate money instead of birthday presents. After all, what do you buy the boy who has everything? The money will be used to help other needy dogs coming to us, probably focussing on one little girl in particular. Lucy will be a lifetime foster due to her ongoing health problems. A mere 13 years of age in comparison, Lucy really is the sweetest little girl, but has mobility problems amongst other things. She still has a great quality of life and is adored by her fosterers. Thank you Barney, Lauren and Ann for thinking of us on this great event. We are all so grateful.